Vision Farms is our family farm in De Beque, CO, on the western slope near Grand Junction. We have a small, grass-fed herd of Jersey cows, Hereford, grass-fed beef cows, free-range brown eggs, and pastured chicken and turkey. Our milk cows have year round pasture access, unless we have a lot of snow, and are supplemented with alfafa/grass hay, and get a small ration of oats, barley, dried molasses, kelp and garlic at milking time. We use apple-cider vinegar, grapefruit seed extract, Nutribiotic soap, and essential oils for cleaning the teats, and as an after-milking teat dip. 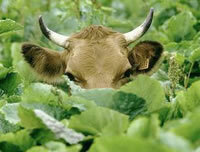 We only use medical intervention if the health of the cow is at stake, and then a long milk withdrawal time afterwards. The health of our cows and the cleanliness of our milk is of utmost importance to us, as our 5 children drink this milk too. We hope we can serve you in the future! 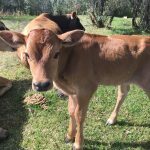 Situated outside the town of Paonia, in the heart of the North Fork Valley is our family farm, Western Culture Farmstead and Creamery. We offer milk shares from our herd of Sannean and Nubian goats. 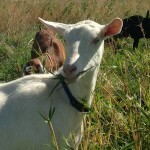 Our goats are pasture raised and are feed on GMO free grains during lactation. We are present for all births and bottle-feed our kids, but we can always use volunteers for “kid-cuddlers”. We raise organic vegetables and make beautiful artesian cheese. Soaps and lotions using our beneficial goat milk are available. We need a new description. WiMo Farms, LLC is a very small farm nestled against the foothills of Berthoud, CO. We are so happy to be able to offer raw milk shares from our cows. 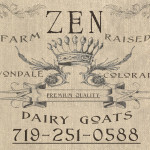 We deliver to a drop-off locations in Boulder and Longmont as well as pick-up directly from our little Berthoud farm. We encourage our shareholders to visit the farm to get to know us, our cows and how we do things. Our milking herd currently exists of 3 lovely Jersey cows (Lilly, Molly and Holly) and one 3/4 Jersey cross (Nikki). Our cows are fed high quality grass and alfalfa and only a very small amount of non-GMO, no corn, no soy grain while being milked. We just received our test results back from our genetic testing and found out that all of our cows are A2 carriers with 2 of them being A2/A2! This will enable us to move to a complete A2 herd within a few years!! In addition to our raw milk, we also offer 100% organic no corn, no soy farm fresh eggs (seasonably available) from our very happy free-ranging hens and 100% organic no-corn, no soy meats from our turkeys, Muscovy ducks, chickens and grass-fed sheep! Muscovy ducklings are sometimes available throughout spring and into early summer. Enjoy food the way nature intended!! Please contact us with any questions or just to talk “good food, farm or animals” with us.